What exactly is meldonium, ingesting which could lead to Maria Sharapova, among the world’s wealthiest athletes, being disqualified from the game of tennis? Maria Sharapova has made a sensational statement about testing positive for doping during the Australian Open. In that statement, Sharapova talked about the drug mildronat, the main active substance in meldonium, which was included in the WADA list of banned drugs for athletes from January 1, 2016. Sharapova said this was the substance she had been taking over the past 10 years. Russian Sports Minister Vitaly Mutko was quick to call meldonium a “useless” drug, “not giving anything to athletes”. WADA, however, has placed this substance in the S4 category; hormones and modulators of metabolism. The use of meldonium carries a maximum duration of four years’ suspension. Meldonium, now the major scourge for Russian athletes, was first developed in the USSR during the mid-1970s at the Institute of Organic Synthesis of the Academy of Sciences in Latvian SSR (now Latvia). Meldonium began to be used as medication from 1984 and, since then, became almost mandatory usage for all professional athletes of the Soviet Union. The substance was originally conceived as a drug for treatment of cardiovascular diseases. Its main action is to slow down the spread of dead cells after a patient suffers myocardial damage. It also improves blood flow in the ischemic cerebral cortex and reduces the frequency of angina attacks. It became popular among athletes for a different reason. Among other actions, meldonium also increases intracellular metabolism, and helps the body achieve increased endurance to high physical stress during exercise and to high neuro-mental stress during competitions. This is why WADA decided to include meldonium as a doping drug. Most doctors today however, doubt the efficacy of meldonium. “We have used it often, especially in cyclic sports, and sometimes in team sports. However, its effectiveness is difficult to assess – being rarely used in isolation. In my practice, I have never used it, because I believe that it does not provide any benefits. Its theoretical effect is easily achievable through normal sleep and good nutrition,” said Eduard Bezuglov, doctor of the Russian national football team. Meldonium became popular among Russian athletes in the 1990s because it was cheap and was practically the only drug that athletes could afford, given the country’s straitened economic situation. “We used it during the most difficult micro-cycles. I felt its effects. It really became easier to bear the stress, and increased stamina,” Russian swimmer Galina Shipovalova told championat.com in an interview. 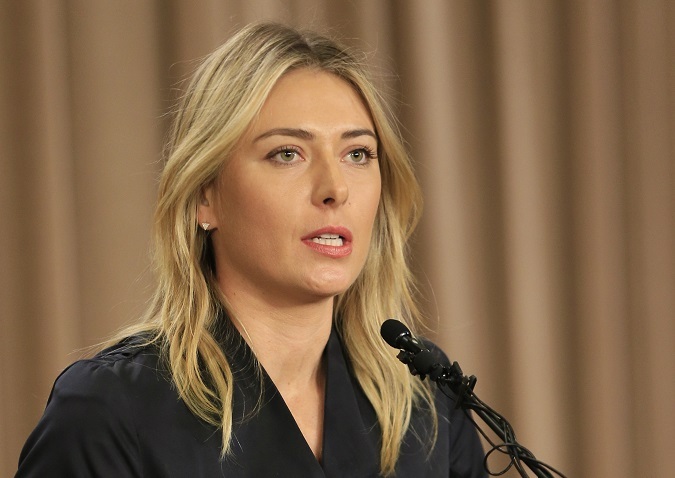 Sharapova said she had not stopped taking the banned drug because she was negligent, having missed reading a letter she received with an updated list of anti-doping rules. Specialists find negligence hard to believe. Mikhail Vartapetov, head of medicine for the Spartak Moscow Football Club advises athletes to be more responsible when it comes to information coming from WADA. “Why did our team in autumn know that mildronat was being banned? What, are we, the most intelligent people? No, we just keep monitoring news from WADA,” the sports doctor wrote on his Twitter page. Former Tennis World No. 1 and winner of the French Open at Roland Garros in1996, Yevgeny Kafelnikov, now vice president of the Russian Tennis Federation, was scathing in his criticism of the star athlete. “This is a blow only for Sharapova – a stigmatized person who, with the use of additional drugs, wanted to overtake her opponents. She took this step consciously – now let her suffer the consequences,” R-Sport quoted Kafelnikov as saying.